The quality of players available at the disposal of Manchester City manager, Pep Guardiola right now, is of such a high standard that no other manager can match, bar maybe Liverpool. From the defence where the Citizens have at least four world class centre backs, to their midfield where they have at least half a dozen players ready to jostle for the three slots. The defending Champions attacking options though are what every club in England is fearful of, however satisfying the desire of these superstar players is the major concern for Pep Guardiola at the moment. The main front three that City used last season were the trio of Leroy Sane, Raheem Sterling and a constant switching between Sergio Aguero and Gabriel Jesus. The addition of Riyad Mahrez to that attack has made it more deadly than ever before. Knowing full well that Benando Silva can also play in an attacking position, City always have players to call on. While the Jesus and Aguero first-choice conundrum still has not been solved, adding the Sane, Sterling and Mahrez to it leaves Pep with a nice problem to have right now. The form of Sane last season would have guaranteed him a regular starting place this season but he seems to be the one suffering more since the arrival of Mahrez at the Etihad Stadium over the summer. 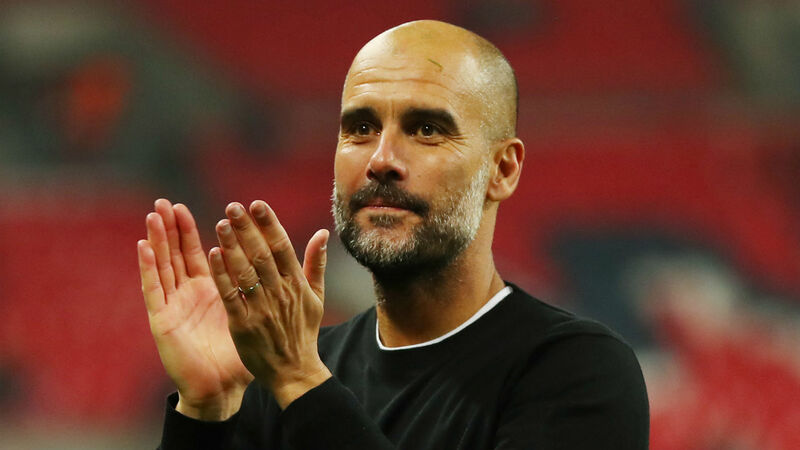 Pep Guardiola’s experience has helped him in the past manage similar situations and he will definitely need to do same in this situation and if he manages to pull it off, it could propel City to back to back title winning seasons.